44. Define the role of API Server. 45. List the commands to generate Key pairs. Flavors are virtual hardware templates present in OpenStack, which define the memory sizes of RAM, hard disk, etc. Flavors illustrate a number of parameters like ID, Name, Memory_MB, Disk and others, giving a choice of Virtual Machine to the user just like having a physical server. OpenStack dashboard also allows users to modify a flavor by deleting the existing one and creating a new with the similar name and parameters. 47. 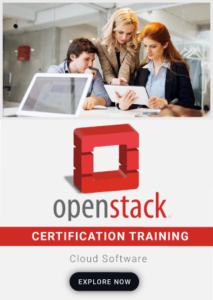 How to create a user in OpenStack? 48. How to assign a project/tenant to a user? 49. Can we see the list of roles and associated IDs in OpenStack environment? 50. What is the command used for pause and unpause an instance?